Gone are the days when Rs 1 lakh and above for a smartphone raised eyebrows. While most people will not spend that much on a phone, that hasn’t stopped brands from launching premium variants of their phones. Apple’s recently launched iPhone XS Max’s 512GB costs a whopping Rs 1.44 lakh. Huawei topped that with the launch of the Mate 20 Porsche Design variant. Keeping these two new recent additions to the expensive phones list, we list out 15 smartphones that will make most people think twice before buying. 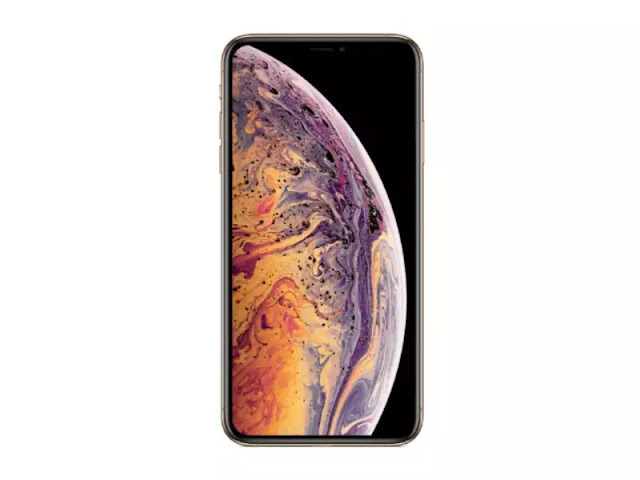 The latest Apple iPhone XS Max 512GB storage variant is the most expensive iPhone to be launched in India at a price of Rs 1,44,900. Vertu is back in the game with the Aster P. The starting price of the phone is $5,000 (close to Rs 3.79 lakh) and for those who want a gold-plated model will have to shell out $14,146 (roughly Rs 10.4 lakh). The smaller iPhone XS 512GB storage variant costs nearly Rs 1.35 lakh in India and is the second most expensive iPhone to be launched in the country. Huawei recently launched the new Mate 20 seriesand the Porsche Design Mate 20 RS is by and large the Mate 20 Pro. It is for the people who are die hard fans of the brand and can afford being one. It is priced at 2095 Euros which translates to Rs 1.77 lakh. The new Caviar iPhone XS series comes with iPhone on one side and a mechanical watch on the other. The body is engraved with graphics and illustrations of polished titanium or gold. The Titanium, and the Gold and Black version will cost $6,320 (approximately Rs 4.6 lakh) and $7,160 (approximately Rs 5.26 lakh) respectively. Price for iPhone XS Max will cost you an additional $230 (approximately Rs 16,600) for the respective design. The relatively old Diamond Crypto continues to be one of the most expensive smartphones in the world. It is meant for those who take security way too seriously but the device is now outdated. However, for someone rich who wants to stay disconnected securely only rely on encrypted voice and SMS communication the Diamond Crypto could make sense. You will be surprised to know that the spec-sheet offers Windows CE operating system and Motorola MX21 processor! But then the entire device is encrypted. This VIPN Black Diamond costs $300,000 which roughly translates to Rs 2,07,15,990 in India or Rs 2.07 crore. The USP is only five units of its were made and no one knows who actually owns them. The price if for the design and of course, the diamonds. This mobile is again made expensive for the materials used and the design. At a price of $57,000 or approximately Rs 39,36,038, it offers a 18 carat rose gold shell with 395 white and cognac diamonds. The device runs Android offers customised services. Yes, you read that right! The Goldvish Le Million costs $7668 which translates to Rs 5.27 lakh in India. The handmade smartphone sports exotic leather and a framework of precious metals. The phone comes with a scratch-resistant 5.5 inch capacitive touchscreen, Qualcomm Snapdragon processor and runs on Android operating system. This is relatively a more affordable phone from Goldvish. The Goldvish Eclipse – Magic Onyx Alligator costs $7,965 or around Rs 5.5 lakh. It runs Android and is powered by a Qualcomm Snapdragon processor. It’s expensive because of the black alligator leather on the phone. It’s a privacy focused smartphone which claims to offer the utmost privacy to the users and comes with a price tag of around Rs 9 lakh. The spec-sheet is again disappointing and runs older Android Lollipop OS. Huawei has recently launched its most expensive smartphone called Porsche Design Mate 10. The smartphone comes in Diamond Black colour option with a price tag of $2,599 (512GB version) or around Rs 1,79,318. The Porsche Design Mate 10 features the same set of specifications as the Huawei Mate 10. It comes with Porsche Design interface and a specially designed leather case. Huawei’s sub-brand Honor will soon launch the Note 10 Rolls Royce Edition smartphone on July 26. As far as the price of Honor Note 10 Rolls Royce Edition is concerned, the smartphone may cost RMB 9,998 (approximately Rs 1,02,393). The limited edition may also get launched alongside the primary Honor Note 10 on July 26 in China. Oppo has launched the Lamborghini edition of its flagship Find X smartphone. The device will arrive in India and is expected to costs a whopping Rs 1.52 lakh. It has all latest flagship specs and not to forget the motorised camera. At a price of $2,450 or around Rs 169,099, the Tonino Lamborghini Alpha One is a luxury smartphone flaunting an Italian black leather and a lot of class and style. However, as far as the hardware is concerned, the spec sheet will not impress you now. It is powered by an older Qualcomm Snapdragon 820 processor with 4GB of RAM and 64GB of internal storage and Android Nougat OS.